Love those jeans! I’ll have to get some!! I was at game 1 of last weeks A’s vs. Yankees series. 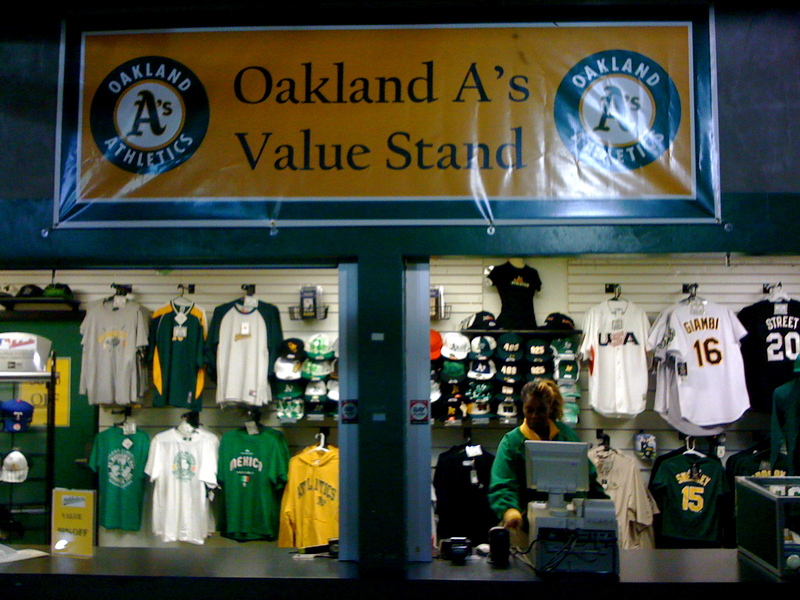 If you want to buy Yankees gear, go to an A’s game. You know an organization has really given up when they’re selling the opposing teams gear out of their own team store during the game. I couldn’t believe my eyes. People were buying Yankees street signs, hats, t-shirts and sweatshirts. It was pathetic. 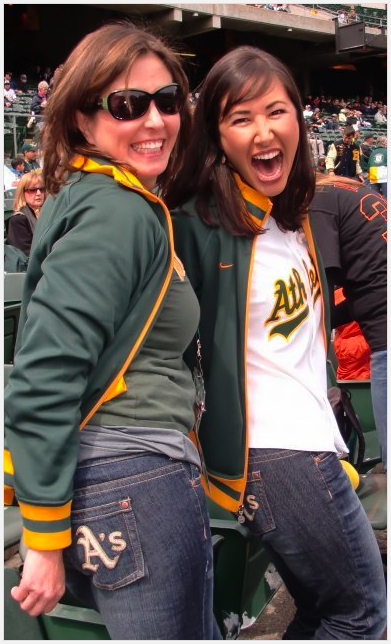 I lost a lot of respect for the A’s that night. #1 – They need to stop selling the “LET’S GO YANKS” signs, or whatever they were. I’m sure it wasn’t that blatant, but it was something. It was some kind of pro-Yankees sign, and that is simply inexcusable. If the Yankees fans want to have their signs, let them bring it themselves, all the way from New York. We should not be selling anything FOR them. 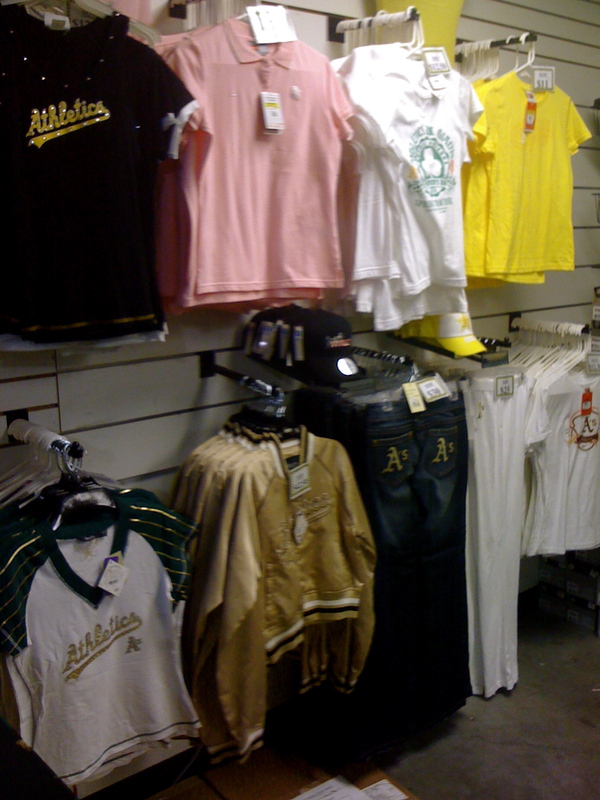 #2 – Make up for it with more A’s gear. You want to stockpile the shelves with Yankees gear? Fine. 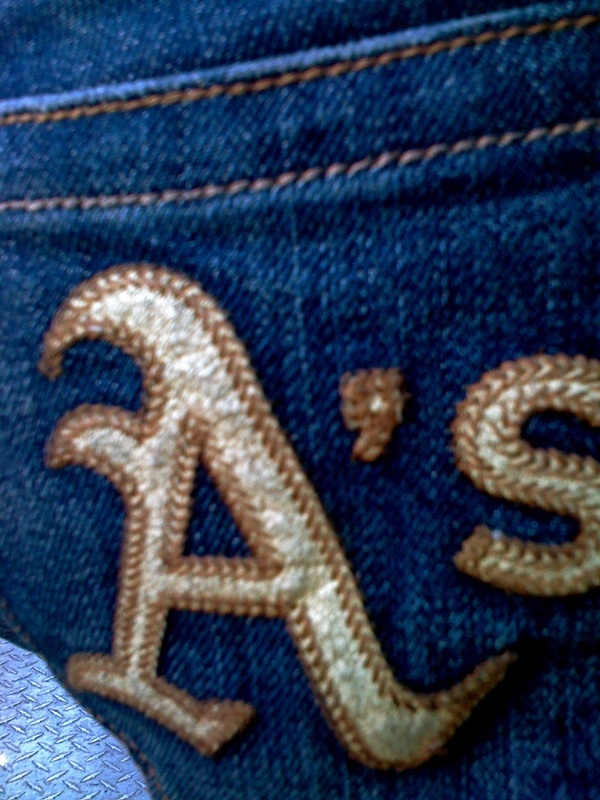 Then drown it all out with A’s gear. Make it look like a green and gold bomb went off. That’s all I’d like to see.